For Ishfaq Ahmad, 24, a dim memory of his childhood is the pain personified. A resident of Kreeri (Baramulla), his father’s death in 2001, was the horror for the grade-II student. In fruit business, his death left the six-member family, comprising the widow and five children, into a serious crisis. The loss of support made the life of the orphans horrible. Every day was a struggle and nightmares were a routine. Though all of them went to school, quite a few could study up to tenth class. But Ishfaq did not succumb to the pressure and the poor economics the family was struggling with. Amid the crisis, his uncle, now 70, volunteered to be their guardian. Their mother became a caregiver. Working as a salesman at a shop in Pandach, Soura for the last 30 years where he stays permanently, the uncle managed their home. Ishfaq continued his studies and finally realized his dream of making to Government Medical College (GMC), Srinagar. It was not an easy journey. Unlike Ishfaq, the other siblings could not manage well. His matriculate elder brother is still unemployed. The second brother is an SPO and is married. Both his sisters are homemakers, married and settled. Then a surprise came literally knocking his door. It was an advertisement on the notice board of the GMC that turned despair into hope. Desperate for support, he applied for the Kashmir Education Initiative (KEI) scholarship immediately. “I got the scholarship of Rs 10,000 in the first year of college under the undergraduate scholarship scheme,” Ishfaq said. Initiated in 2007 by Non-Resident Kashmiris (NRKs) in Boston with seven scholars, KEI philosophy is just a triangle: scholarships, capacity building and mentorship. Slightly more than a decade later, they are part of 7000 stories of knowledge and enlightenment. It is currently headed by Dr Riyaz Bashir, an interventional cardiologist in the USA and a professor of medicine at Temple University in Philadelphia. KEI, he says, wants to have ‘quality education’. By quality education, he means competencies in the 21st century and not knowledge alone. 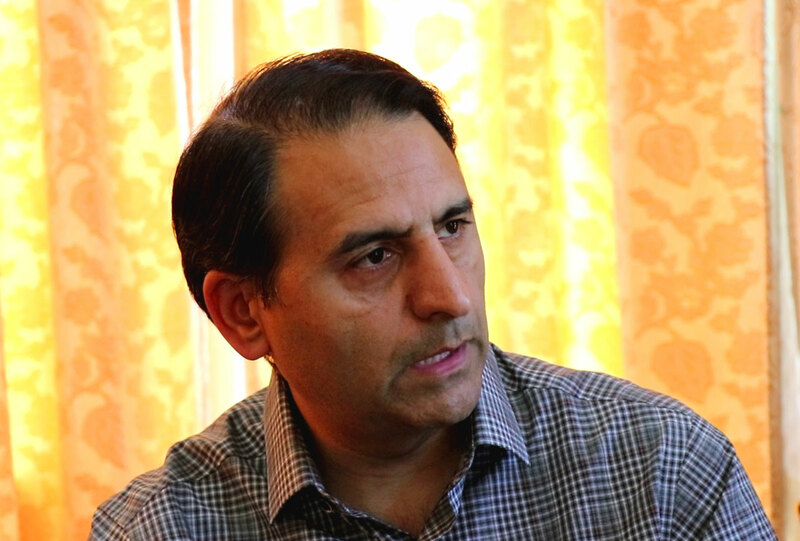 “Kashmir is world’s second oldest conflict after Palestine and we have learnt so many lessons which could be helpful in other parts of the world,” says Dr Riyaz, who has joined KEI in 2013 and is its fifth president. An annual event at Kashmir University auditorium. But back in Kashmir, KEI needed support that could see the execution part of their programmes so another chapter was added from Kashmir, KEI-Kashmir, in 2009 by another set of volunteers of government employees and University teachers. But both the NGOs are separately registered and have different boards of directors for the conduct of their operations, says Mehraj Pandit, the president of KEI Kashmir. He says both the KEIs have a common board as well as they have signed a MoU. “Our objectives are same to help students but the difference is we fund our initiatives from the funds that we generate locally and the US-part do their work. It is kind of dovetailing but we have our separate boards as well as accounts.” Pandit says the mission is common but they facilitate each other. KEI picks the bright students who are at ‘risk’ and provides them with a supportive and leadership oriented education environment which helps them lead that these “a positive change in their families” and eventually in the community. “If a kid from an illiterate family gets educated, it can bring an enormous change within and outside the family,” Dr Riyaz said. An interactive session among KEI scholars. Barring an office that belongs to its Kashmir chapter, KEI has no infrastructure. “One of our scholars Insha’s two books were sold on Amazon, this is the kind of change we want to see,” Dr Riyaz said. “Imagine the impact Insha will be having on her siblings, cousins and extended families.” KEI calls its students scholars. Experts believe parents get their wards out of school for help and earning somewhere between ninth and twelfth standards, which is when KEI gets in. When parents see help coming, they reverse the trend. “We want to make sure that they are encouraged to stay in the education system and they really do well,” Dr Riyaz said, explaining the system the KEI works with. Under scholarships, KEI adopts meritorious students from underprivileged backgrounds. It ranges from high school (after they complete their class 8th) to predoctoral. “We have kept it class 8th because the majority of students who belong to far-flung areas and are from financially unsound backgrounds, leave their studies at this stage for work,” Pandit said. “For KEI to identify a candidate for support, the kid must have above 65 per cent of marks; the annual income should be less than Rs 3 lakh.” The selectors also see the size of the family because more children mean pressure on one person to earn for all. Every year, KEI selects around 150 students from all the 10 districts of Valley after a thorough verification based on the certificates. After proper registration, the selected students get continuous support for four years as long as they perform well, securing 65 per cent and above in their exams. Up to the tenth standard, they get Rs 10,000, a year, and for the remaining two years, they get Rs18, 000. In a special case, they get enhanced scholarship of Rs 5000 to 6000. Under the undergraduate scholarship programme, 15 students enrolled for MBBS, B Tech and agriculture is adopted. “We have taken only these students because the fee is too high,” Areeba, the KEI project coordinator, said. “We take students from open merit backgrounds only and follow the same criteria of income. We used to have a post-graduation scholarship programme for KU students as well but that has been stopped as there are many national scholarship schemes. We also have a pre-doctoral scholarship programme.”Other than these scholarships, KEI has a transitional year scholarship as well, which is given to the scholars after they complete their twelfth class and are preparing for professional colleges. They pay it as their coaching fees. Two of KEI scholars were last year selected in North Carolina and another got into another US school. KEI provides them with the application fees, visa fees and whatever they need under KEI’s postgraduate programme. Under experiential learning and capacity building, KEI organizes a certain workshop for building the capacity and enhancing the personalities of its scholars. The workshops focus on leadership, leadership skills, communication block ups (fictional writing, journalism, computers). The reason for this exercise is to improve the confidence and communication skills of these meritorious students who lack it because of their backgrounds. 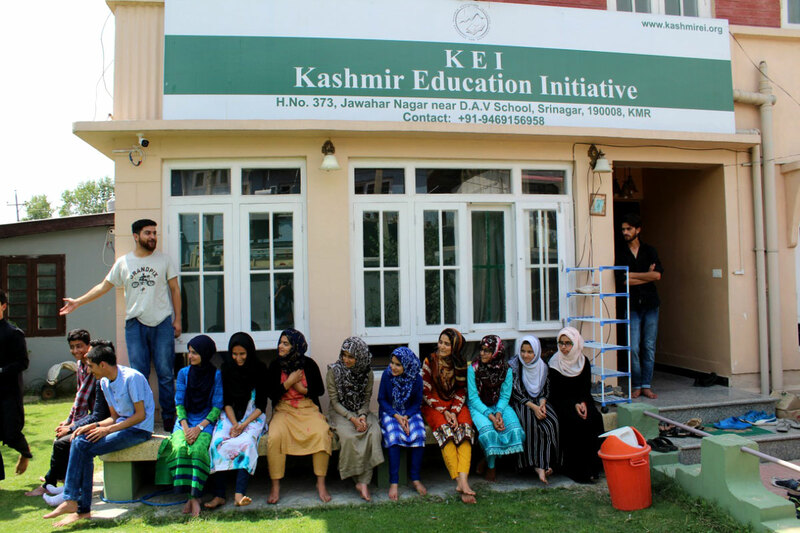 The mentorship programme, which KEI calls the most important part of its offerings and first of its kind in Kashmir, scholars are chosen from the age group of 15 to 26 years. Up to fifty scholars are selected for six months from the total of 624 students, where KEI provides them mentors, who speak to them telephonically and suggest what they should do. “We are focusing on building the competencies; we are not based on the quantitative aspects like their subjects. We are concerned about bigger things like goal settings, how to utilize time, how to learn new things. The mentor’s work is on building the confidence showing them a proper way,” Areeba said. For undergraduates and postgraduates mostly, KEI board members guide these scholars. They have certain career counselling sessions as well, where the scholars are helped to choose their careers. However, the situation in the valley led KEI to make a shift in their processes. They started a self-study portal programme where the scholars are imparted with a sense of self-study. In a period of two years, Khurshid ul Islam, a volunteer, says KEI gave a hundred laptops to 100 students, loaded with study material and then their progress was monitored. “It is a study that will help us utilize the system in other conflict regions as well,” says Dr Riyaz. KEI has a student’s advisory board as well where scholars are encouraged to be in decision making. “It is completely by the scholars for the scholars, no personal attachment but done by them, for them; there are a lot of things which may not go perfectly well this year but they will learn from it. We just want to empower them, so that they are able to execute what they want,” says Dr Riyaz. He adds KEI’s USA chapter finances three facilities of high school scholarships, mentorship and experiential learning and postdoctoral scholarships (in international universities and this part is need-based) while as the Kashmir chapter finances the undergraduate scholarships (professional colleges), post-graduation scholarships (for local universities) and career counselling programmes. KEI, its members say as a non-political organisation is blind to individuals with an open governance system. They are a non-religious party. Every president has a term for three years and the governance changes every three years. The volunteers go up to the president’s level if they work aggressively. KEI doesn’t have an FCRA account. Dr Riyaz said they transfer the money to Iqbal Memorial Trust, which helps them in delivering the funds to their scholars. In 2017, KEI managed to raise the funds close to the US $ 314000 from the USA and out of this US $168000 was spent on scholarship programmes alone. In 2016, when schools were shut for four months, Dr Riyaz said, they were concerned about their scholars so they got 100 laptops and distributed them in a randomized fashion to half of their scholars. 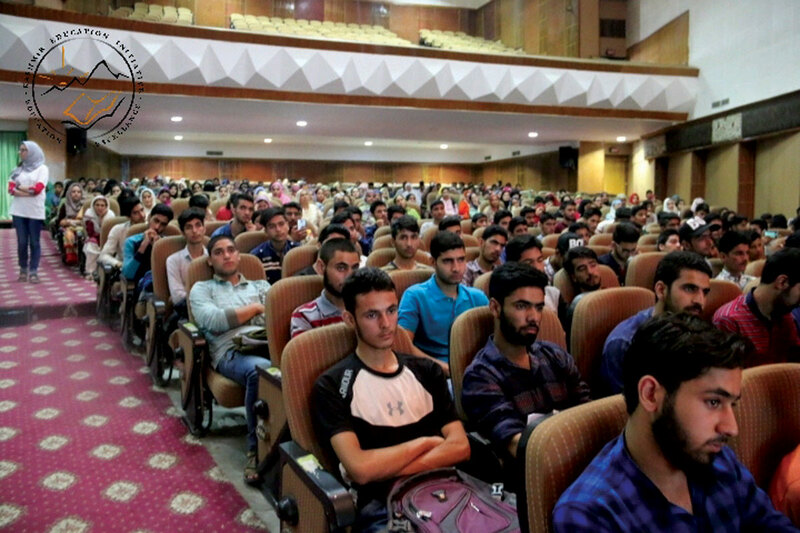 “We have just completed the research and we are analysing the data under the study that how self-study portal like a laptop in conflict-ridden areas can help students,” Dr Riyaz said. Dr Riyaz believes the Diaspora in the USA and around the world have always a yearning to help people back home, particularly when the conditions get bad. Dr Riayz says the international charity watch organization has rated KEI with an A+.